To fulfill the goals of an Enterprise Risk Management (ERM) program, successful firms are employing a comprehensive risk and claim management process to address the strategic, financial, operational, and hazard risks that they face. As we work with various organizations around the world, there are clear differences between organizations that employ a continuous series of steps to manage loss exposures versus those that don't. If the organizational goals are clearly defined and articulated, then an organized, continuous risk management process may be applied. 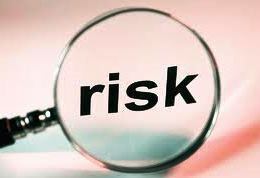 A risk management process can be initiated by such events as pending insurance renewals, serious claims, a merger or acquisition, debt or equity restructurings, or new laws or regulations. However, if the process is continuous, these events can be managed in a less reactive, more productive way. The risk management process consists of six key steps which, when applied in a continuous manner, result in higher organizational quality, profitability, and asset value. Loss Identification. There are a wide variety of methods and techniques to identify loss exposures which would interfere with the organization's goals and objectives. The use of document, compliance, inspection, and expert reviews typically reveals areas where additional risk management and loss control techniques, products, and services should be focused. Loss Analysis. The analysis of losses are typically reviewed by frequency, severity, total dollar amounts, and timing. This analysis enables an organization to develop projections, prioritize exposures, and allocate risk management and loss control resources. Risk Management Techniques. Loss exposures may be addressed with a wide variety of risk and loss control and financing techniques. These include thousands of different products and services which may be employed to address very specific risk exposures. Technique Selection. Once the preceding three steps have been completed, the techniques that prevent or reduce losses are employed. All financial and non-financial matters should be taken into consideration. Technique Implementation. All the various techniques employed require tremendous support and guidance from the organization's governing body and management team. Without this support, the techniques will be less effective and the organization will not sufficiently meet its defined and articulated goals. Monitoring and Revisions. Acceptable standards and results-based performance measurement throughout the organization is paramount. With continuous monitoring and revisions, the organization will optimize its risk management and loss control for higher financial and social results. By consistently applying these principals, risk and claim management professionals will be certain that their organizations are eliminating and mitigating risk and claim costs.